THREE FARM FRESH FLAVORS TO DELIGHT COFFEE LOVERS! (Tulare, CA) Coffee lovers can rejoice! Beginning Monday, January 21st Rosa Brothers Milk Company’s newest product, All-natural Coffee Creamers, will be available in grocery stores. 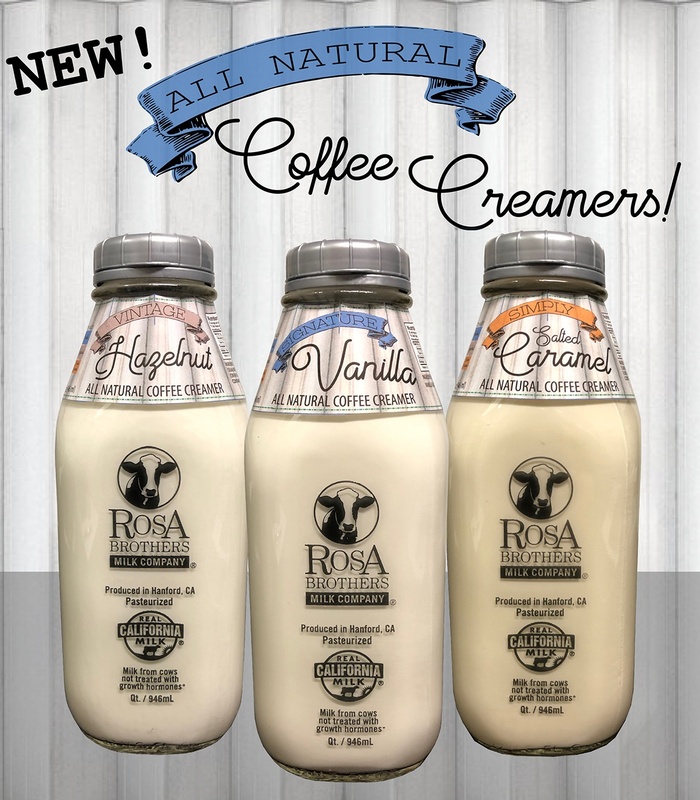 Rosa Brothers Milk Company’s Coffee Creamer line starts with farm fresh milk and cream straight from Rosa Brothers’ third-generation family dairy, which are then blended with naturally sweet flavors to create a whole new coffee creamer experience. Rosa Brothers Milk Company offers three all-natural, decadent flavors—Signature Vanilla, Simply Salted Caramel and Vintage Hazelnut. These creamy delights are then carefully packaged into Rosa Brothers Milk Company signature quart-size glass bottles and are available where Rosa Brothers products are sold.